The prices that people pay to celebrate Halloween are a scream. 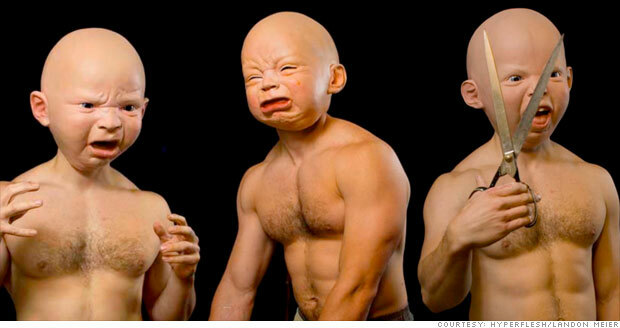 These baby head masks are expressing the same sentiments some consumers are having to Halloween prices. Bad economy? What bad economy? Even with unemployment at nosebleed levels, people still plan to spend like crazy this Halloween, according to the National Retail Foundation. Americans are expected to spend $6.86 billion this year, up 14% from last year's $6 billion, according to the NRF. That's good news for the following seven small businesses and self-employed people who are looking forward to making a killing on the holiday with these outrageously priced items.